Queen's University, generally referred to simply as Queen's, is a coeducational, non-sectarian public university located in Kingston, Ontario, Canada. 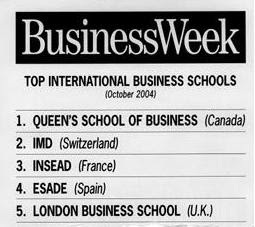 In 2007, Queen's was ranked among the top 100 universities internationally by the Times Higher Education Supplement (THES), while maintaining its status as the second-ranked university in Canada by the Maclean's University Rankings of the Medical-Doctoral category. The institution was founded on October 16, 1841, pre-dating the founding of Canada by 26 years. The first classes were held March 7, 1842 with 13 students and 2 professors.Queen's was the first degree-granting institution in the United Province of Canada and the first university west of the maritime provinces to admit women, and to form a student government.Its founders modelled their nascent college after the University of Edinburgh for the Scottish university's tradition of academic freedom, authority, and moral responsibility. Beyond the Kingston campus, the university has an International Study Centre at Herstmonceux Castle, East Sussex, England, formerly the home of the Royal Greenwich Observatory. Queen's is one of Canada's leading universities, with an international reputation for scholarship, research, social purpose, spirit and diversity. Consistently highly-ranked, Queen's is known for its incomparable 24-hour learning environment. Great teaching, great students, community and tradition - these are the hallmarks of the Queen's experience. The University was established by Royal Charter of Queen Victoria in 1841 - twenty-six years before Canadian confederation. Classes were first held in 1842. 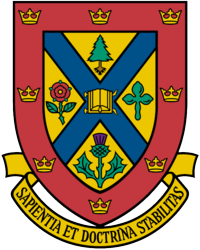 The earliest degree-granting institution in the united Province of Canada, and the first to establish a student government, Queen's has reflected and helped shape Canadian values and policies, educating many of the country's most notable political and cultural figures. Queen's student body represents 98 different countries, along with every Canadian province and territory. Our faculty is drawn from some of the most prestigious institutions in the world, and Queen's faculty members regularly receive international recognition and numerous teaching awards for their research and innovative contributions. Graduates of Queen's become part of a living, legendary tradition that spans the globe and 166 years. Queen's graduates can be found in boardrooms, courtrooms, hospitals, art galleries, laboratories, libraries, and governments around the world. Queen's University is located in Kingston, Ontario, Canada, a quintessential university community big enough to provide all the conveniences of modern life, but small enough for students, staff and faculty to feel instantly comfortable and at home. For more than a century-and-a-half, the stories of Queen's and Kingston have been inextricably entwined. As a public institution, Queen's is committed to an operating model of transparency and accountability. For more information on institutional planning and accountability, please visit the Office of Institutional Research and Planning.